About 70 kilometres into the bush (or 3 hours drive) from Kalulushi is the town of Katembula. It is the main town in a growing area and there are many very poor people. There is little infrastructure in the community. There is a school and a few shops but little else. Few of the local people have jobs. Subsistance farming is the main activity in the area for families, but yields are very low. One of our partners has been visiting the area for a long time and has identified many children and families that need help. A number of children are being helped into school, and the children are visited to ensure they are doing well. Our partner is also training key community members in Foundations for Farming, so that they can start to train and disciple the community. Our partner, Oliver Mulenga, and some friends became concerned at the number of children that were living on the streets in Kalulushi so they started to bring them together and care for them (ZAM09a). This work has now also spread to Katembula. Oliver is a strategic man and Bright Hope World also previously supported him in his work as an evangelist (ZAM04). Bright Hope World has been working with Oliver since 2004. The beneficiaries o fthis partnership are the children of the community and their families. These children are selected from the community, not just the local church. We like this partnership because the children in the area are very poor and this is meeting a desperate need. There are passionate people overseeing the programme; people Bright Hope World have known for a long time. It is also an area where there are few other groups working to help the children and families. The neediest children and those showing great promise have been identified and have started school. 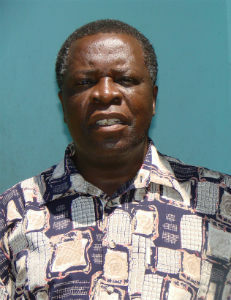 Oliver was trained by the Bright Hope World Field Director at GLO Bible College in Zambia back in the mid 1980's. He is a colourful character and at that time had been involved in politics. After leaving training he shifted to the Kalulushi area and assisted with the development of a number of small churches and mentored a number of families. Many of them are now in ministry. In the 1990's he shifted into Kalulushi and started a block making business from which he has gained a living, supported himself in ministry and assisted others to go for training. He has helped many people at great cost to himself. Each year the partnership will be assessed and the community leaders talked to. A small number of children are being funded, and some funds will be required for helping to train farming. Nelson is 18 years old and is in Grade 11. He attends Chati High School which is in the Katembula district. 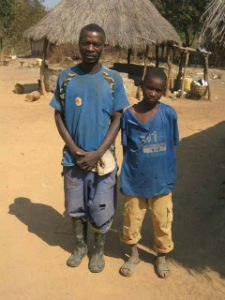 He has been part of the orphan programme since 2008. To go to school he has to rent a small house that he shares with his friend Jackson as there is no boarding school in the area. Every weekend he walks three hours back to his home in Chimoto where he stays with his grandmother. He brings his food from home every weekend. 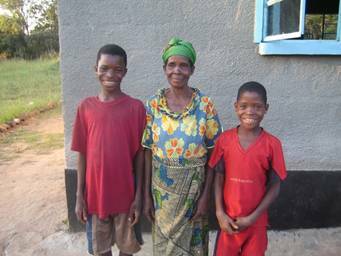 His grandmother is about 65 but she is but she is unable to support him into school. His parents both died when he was 2 years old. His grandmother tries to support the family by brewing beer called makoyo and she does a little farming of maize for consumption. His subjects are English, civics, geography, physics, biology and mathematics. When he finishes school he would like to become a solider and be able to help defend his country. He loves to play football but because he lives just with his friend at school there is no time to do so. After school he must walk for 1km to get water and then make the supper and clean the dishes. By the time this is all done it is dark. Nelson has a lamp but often cannot afford the batteries so cannot study at night, which is problematic for him. In his holidays Nelson gets some work that helps to pay for the rental of the house. 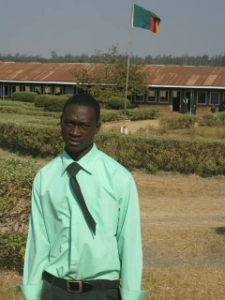 The orphan programme is paying for his school fees and uniform.